The similarities and difference between substance addiction and addiction to areas such as social media, food and work. Why it is a struggle in our culture to acknowledge these other outlying areas as addictions. 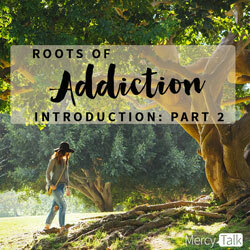 The healthy needs that addiction tries to meet and the importance of getting to the root to experience freedom from addiction.